Pecan Pie. Cheesecake. Pecan pie and cheesecake together. Oh, my. Who could resist that? I knew the minute I saw this recipe in Southern Living Easy Entertaining that it would be a big hit at our house. And since it was a Southern Living recipe I knew that it would be very good. Southern Living, is after all the end-all be-all of everything good about living in the south. I have all their annual cookbooks going back to 1987. I can’t tell you how many times I’ve needed a recipe for a party or a special meal and I’ve gone straight to those cookbooks for inspiration. 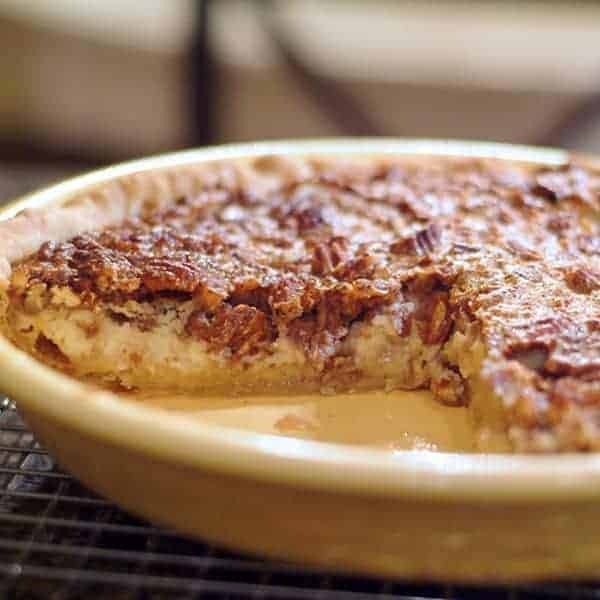 This Pecan Cheesecake Pie is essentially a standard pecan pie recipe poured on top of a cheesecake layer. Even though it seems like there are lots of steps, it is really simple. 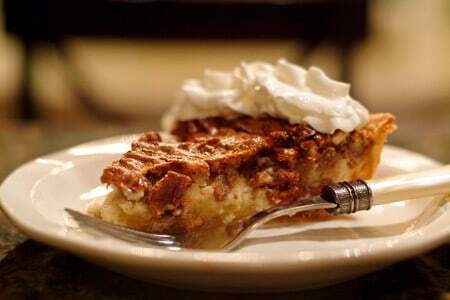 This is a pleasant change from the typical pecan pie and goodness gracious it is ever good. And, believe me I know pecan pies. 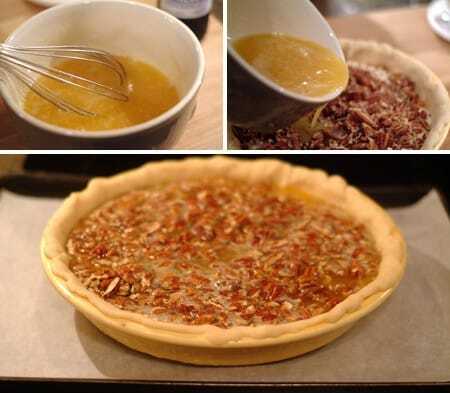 Since I grew up in pecan and peanut growing country, pecan pies made frequent appearances on my mother’s table. We always had pecans and peanuts in our house and I still keep both on hand all year round. 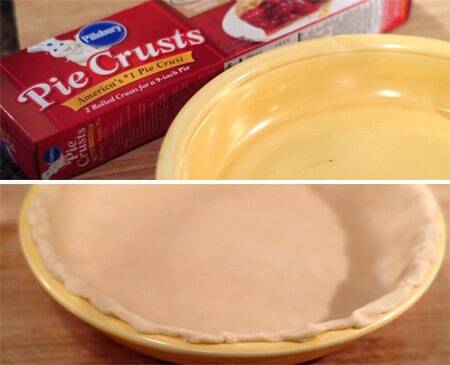 Fit the piecrust into a 9-inch pie plate according to package directions. Fold edges under and crimp. And, yes I use those refrigerated pie crusts from the grocery store. I can’t make a pie crust if I had to. Just not my thing. 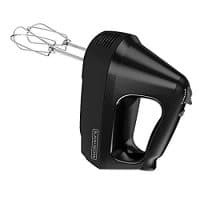 It was a happy day for me when Pillsbury started selling these. They’re way better than the frozen ones. 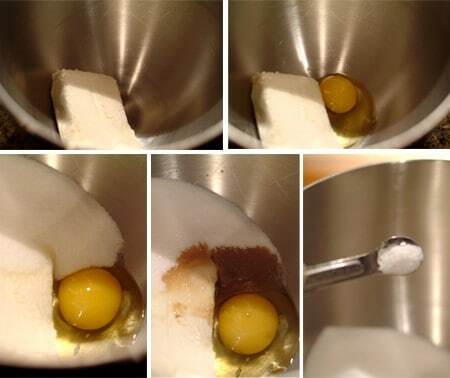 Next, combine the cream cheese, 1 egg, ½ cup sugar, 1 tsp. vanilla, and salt. 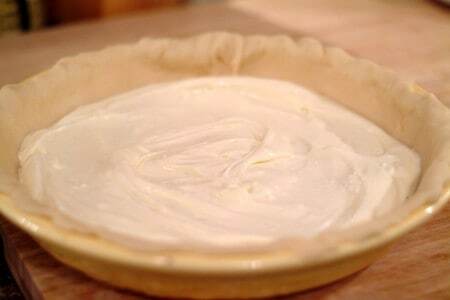 Pour the cream cheese mixture into piecrust. Starting to look good already, isn’t it? Next, chop the pecans and sprinkle them evenly over the cream cheese layer. 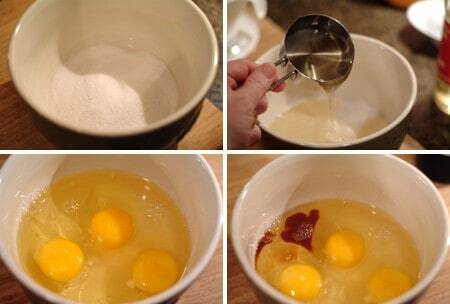 In a medium bowl, combine the remaining 1/4 cup sugar, corn syrup, remaining 3 eggs and 1 teaspoon of vanilla. Bake at 350 on the lowest oven rack for 50 to 55 minutes or until the pie is set. Cool completely on a wire rack (about 1 hour). Pecan pie and cheesecake all in one bite! Who could resist this? 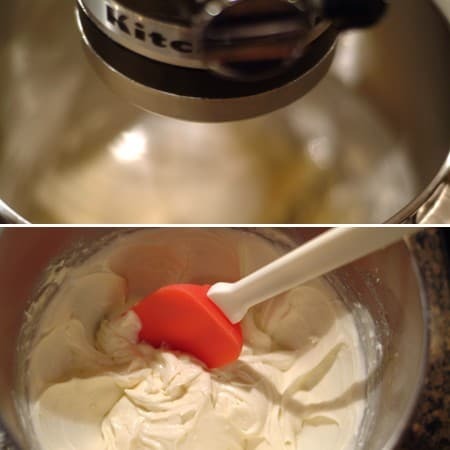 Next, combine the cream cheese, 1 egg, 1/2 cup sugar, 1 tsp. vanilla, and salt. Beat at medium speed with an electric mixer until smooth. Whisk everything together until it's well combined and pour the mixture over the pecans. Place the pie on a baking sheet. Sounds a looks delish, can’t wait to try this! Oh my, you have put my favorite two things together! This is amazing, thank goodness you have the print option, thanks for the great recipe! I just made this pie this afternoon and both hubby and I LOVED it!! Delicious!!! I loved having both pecan pie and cheesecake in one dessert!! So glad I found your blog..actually found it while reading Bree’s blog from back in the spring while she was getting ready to leave for mackinac Island and her computer broke down and you posted on her blog!! So glad that I found it, I have printed a lot of your recipes!! Thanks Lana!! So glad you liked it! We like it, too. And I hope you found a few other things to try while you were looking around. OH MY! This is probably going to be my new favorite dessert as it includes ALL of my favorite things! YUM! Can’t wait to try it! Great blog :-) Happy I found you! Thanks, Mary! I hope you like it. It’s one of our favorites, too! I found this on your blog last year and it has now become a must have for our family get togethers!! It not only is delicious it’s a quick fix too!! Thanks Lana!! Thank you so much. Nothing makes me happier than knowing someone has tried one of my recipes and really enjoyed it! Happy Thanksgiving to you and your family! This sounds like a Paula Dean pie I made for a Halloween party. It was SO good. But people were expecting straight up pecan pie and were confused when they got cream cheese. Still awesome though. Oh my, that sounds so good. I like pecan pie, but it’s almost too much for me, but switch it up with a hit of cheesecake and it sounds heavenly. You couldnt ask for a better sounding pie than this! I think I’ll make it today! I LOVED your pie and love your blog. 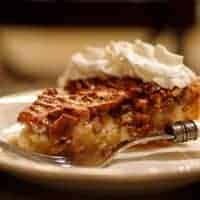 I don’t love pecan pie, but this version looks over-the-top delicious! Today I made it for the very first time, and it came out absolutely delicious! Although, my mother said it was too sweet. I didnt think so. 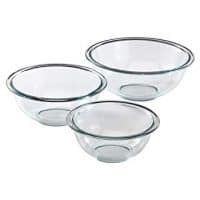 I also wanted to ask any of you if when you poured the mix of corn syrup, 3 eggs, sugar, vanilla and salt if it was overflowing on top of the pie. For me it did. I believe it was cause my pie dish wasnt too deep. 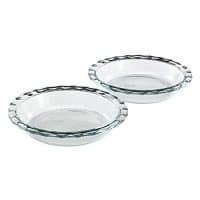 Jackie – The mixture does not overflow if you use a deep dish or larger pie pan. Your instructional photos are wonderful, I will be back to look for more things to make. Everything about this beautiful pie screams “Make me now!” Thanks so much for the inspiration, Lana. Yum, two of my favorite Thanksgiving desserts in one! Yum you can’t go wrong with this duo. I love Southern Living cookbooks as well. I love when people combine two pies to make one doubly good! And I think everything is better with pecans. Right? I have made this 2 times in the past year and I have always gotten raves for it. Thank you for sharing this!! However, each time I make it, I forget that the layers flip-flop and it shocks me everytime!! that looks really good – bookmarking to try soon! We love it, too, Alanna! I made one last night in fact. I can’t wait to make this, but I have a quick question. Did you leave the pecans raw or toast them? The pecans are left raw just like when making a pecan pie. Thanks so much for the super speedy reply! I’ve never made a pecan pie, so this will be a first for me! :) I’ll let you know how it goes. Is there any other ingredient that I can use to substitute the corn syrup? You might try light molasses. I haven’t tried a substitute, so I can’t guarantee how it would work. This is my very first time to try to make a pie! It was really good but runny, what could have happened? Hi Jenna! I’ve never had that happen with this pie, but just as a guess I’d say it didn’t bake quite long enough. I hope you’ll give it another try. It’s really, really good.